Whether or not you’re into cooking with transglutaminase and sodium citrate at home, you’ve probably heard of—or at the very least seen the striking images from—local food wizard Nathan Myhrvold. The mad scientist’s Modernist Cuisine has launched four books, including the impressive five-volume, 50-pound tome on modernist cooking techniques, with a follow-up bread book due out this year; wowed Anthony Bourdain; and created a Wonka-like buzz around its Bellevue cooking lab. Today, Myhrvold and his team announced that they’re working on their next ambitious project: an art gallery to open at the Forum Shops at Caesars Palace in Las Vegas in May. I’m a food nerd to the core, but I’m not the only one who adores MC’s approach to photography—their announcement says they decided early on “not to photograph food in traditional ways, opting instead to cut kitchen equipment in half, use high-speed video and laboratory microscopes, develop innovative digital tools, and turn ordinary ingredients like grapefruit or kernels of wheat into stunning monoliths with macro lenses.” The result is stunning and awe-inspiring and makes you question your food, and the way you go about cooking it, in all the best ways. I saw the temporary exhibit a few years ago and loved every image. Now visitors to Sin City will get to experience the remarkable larger-than-life images in what MC is claiming to be the first gallery in the world to focus only on food photography by a single artist. Instead of aiming to get these images in existing galleries or fine art museums, they’re doing this on their own terms—and I love that. The gallery will (duh) include a retail option to purchase prints for your own home. 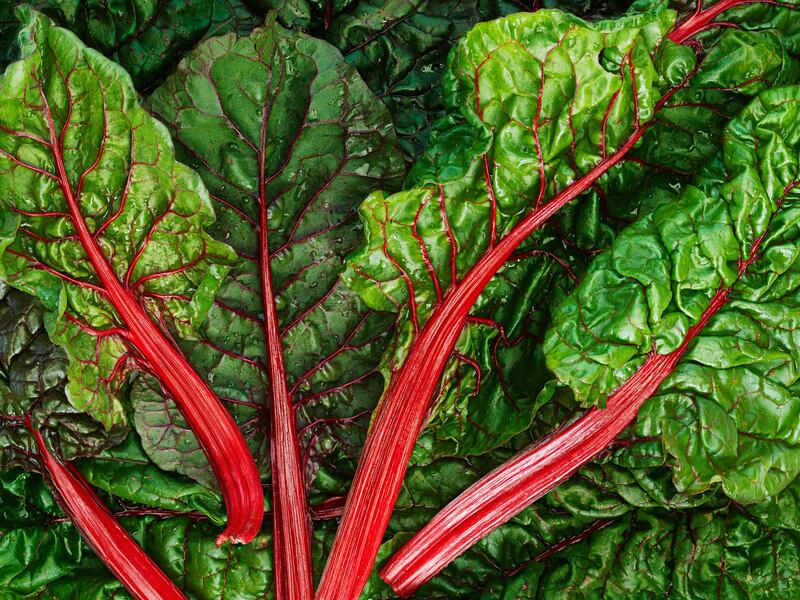 I’ll start clearing my walls for a five-foot print of this beautiful chard a.s.a.p.